Welcome to a Monday, what a busy weekend it turned out to be! In a sure sign that summer is here, Wimbledon officially got underway today, prompting our look at the new uniforms from Polo Ralph Lauren. The retailer continues its alliance with the All England Club, the new styles celebrate the event’s 125th Anniversary. This is the first time the uniforms have been redesigned since Polo Ralph Lauren first made a deal with the Club in 2006, the firm has been doing uniforms for linesmen, umpires and ball boys/girls since that time. 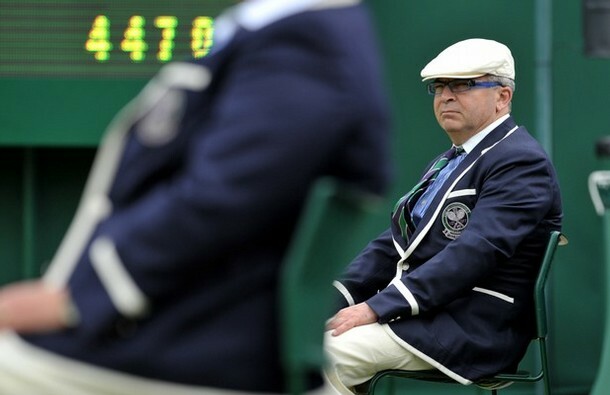 Below, a Line Judge in uniform this morning. Of course the pieces are available for sale at PRL stores and online, although we do not see that always-popular blazer available anywhere. The polo shirt showcases the special anniversary patch and overall the look is crisp and clean, nicely done. Notwithstanding Ralph Lauren logos the size of canned hams (and larger). There are also items like the men’s Classic-Fit Poplin shirt at PRL online. Service is paid—a princely sum of €130-€160 (about $209-$258) for the thirteen-day period—and rigorous tests (fitness and written) and training must be completed before selection. 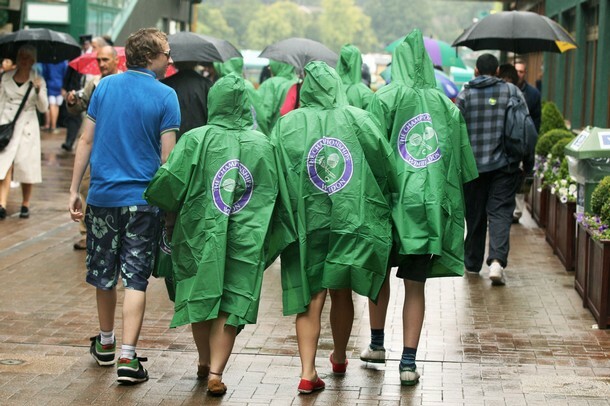 Some items offered for sale only appear to be available at the Wimbledon Shop, like the Logo Tee-shirt at $62.67. This is where we have to ask for your kind assistance, as the shirt above has us simply baffled. Why on earth would the Ralph Lauren initials be larger than the word Wimbledon?? This clearly belongs in the “Help Me Understand” category, your faithful scribe is more-than-confused about that imagery, do weigh in with your wisdom and insight. The rain did make an appearance. 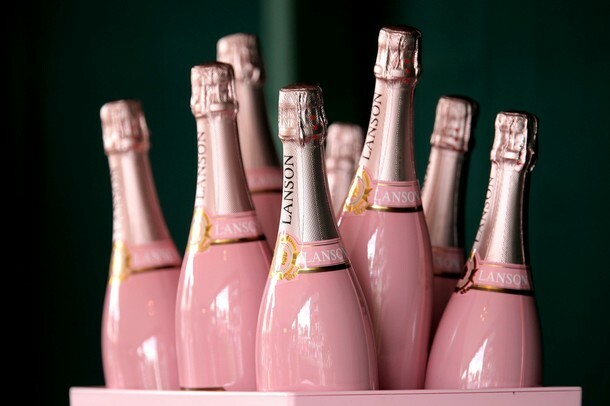 One last Wimbledon item created just for the 125th Anniversary: special bottles of Lanson champagne. We’ll make them today’s Pretty in Pink. Next, an update for those fond of Tory Burch, her new store under construction on Madison is getting some special decor… on the outside. 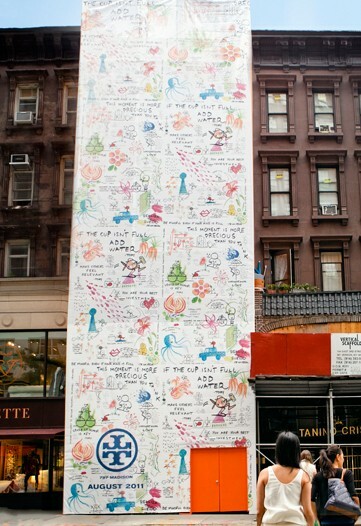 The shop is slated to open in September, that vibrant artwork on the store’s exterior was done in collaboration with street artist James De La Vega. We leave you with images of fairy tales re-created in another medium: balloons. Above we see Jack in the Beanstalk as crafted by a gentleman named Larry Moss. Below, Rapunzel as envisioned by the artist. Hello-Hello, and welcome to a *very* brief bit of blather bloggage, as we careen crazily through the holiday weekend. Frequent readers know we do our best to keep everyone apprised of significant Sales & Savings opportunities; as you would expect, they abound this weekend. We feel obligated to share those with a preppish flavor, beginning with Brooks Brothers. For an additional 15% off, try using discount code FA101X, it should work for everyone. Also taking an additional percentage off sale prices, Kate Spade with the extra 25% applicable to online sales only. Nordstrom is doing their annual shoe clearance, always worth a stop. LL Bean is doing free shipping with any size order, while Lands’ End Canvas has solid discounts on many styles. All other Lands’ End merchandise is 25% off. The sale runs through Tuesday. Ann Taylor is taking an additional 25% off sale merchandise, the promo code is ENJOY25. On a separate note, visitors to the website will see the company’s new collaborative effort with actress Naomi Watts. And Polo Ralph Lauren is taking an additional 25% off Sale merchandise. Speaking of PRL (Polo Ralph Lauren), we have another quick note, after all, this is Open Weekend. This year’s US Open Collection includes two limited edition pieces done in collaboration with Venus Williams. The styles created for the Linesmen & Women, as well as the Ball Boys and Girls are also offered. Below, the Ball Girl Sneakers, rather cute, and the Ball Girl Warmup Jacket for Girls 2-6x. But then there’s this. Behold, the US Open Ball Girl Polo; we are showing the Women’s size. It seems the Polo logo on the front of the shirt is larger than the US Open logo on the sleeve. But that isn’t the most egregious part of the equation, for in many ways, these symbols are irrelevant. Why? Here is the back of the shirt. In this space we frequently give Polo Ralph Lauren the benefit of the doubt, perhaps more often than is merited; as we are fond of the company’s non-logoed lines, including the Black and Purple Label collections. But this is simply ridiculous, it approaches corporate narcissism. 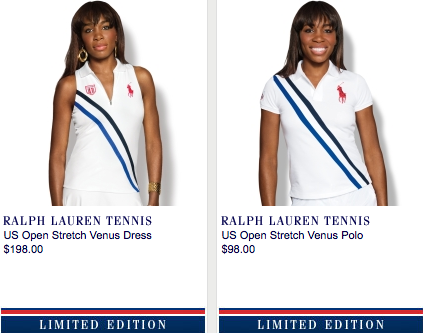 Is Ralph Lauren bigger than the US Open? Below, a snippet from the information provided by the US Open. Nor does one see it upon the Umpire’s Tie. There’s nary a horse visible on the tie. Call us crazy, but the look of another officially sanctioned retailer, Under Armour, seems far more appealing. Although difficult to see, the Women’s Polo carries the Open logo on the front chest. Under Armour seems to understand who owns the event; its logo is done in a discreet same-color embroidery on a sleeve hem. Below left, the back of an Official Ball Girl polo, on the right, the back of an Official Ball Boy polo. This one is beyond baffling, it’s just plain embarrassing. With apologies for sounding like such a crankenstein, we leave you with a Pretty in Pink of a different kind. How do you wrap True Prep books for customers? In pink paper with coordinating grosgrain ribbon, of course. We hope everyone enjoys what remains of the extended weekend! Opening Ceremonies & Most Popular Polo Ralph Lauren Item? Welcome to a special Saturday edition of the Princess blog. It was night filled with spectacular lighting and breathtaking visuals. 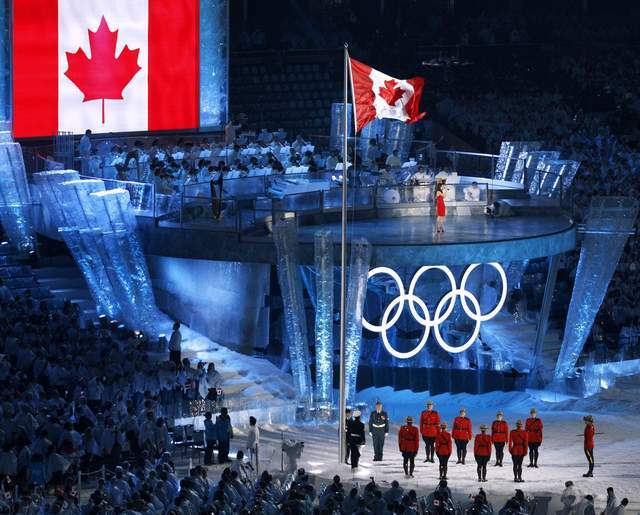 We gasped when the snowboarder exploded from the Olympic rings. It was also a night marked by sadness. 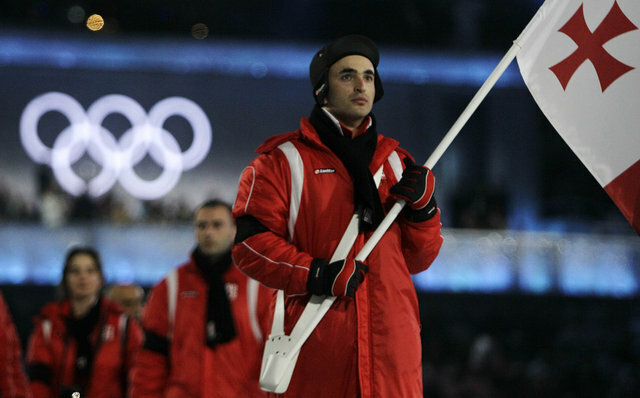 The Georgian delegation had eight athletes competing in the games as of Friday morning. 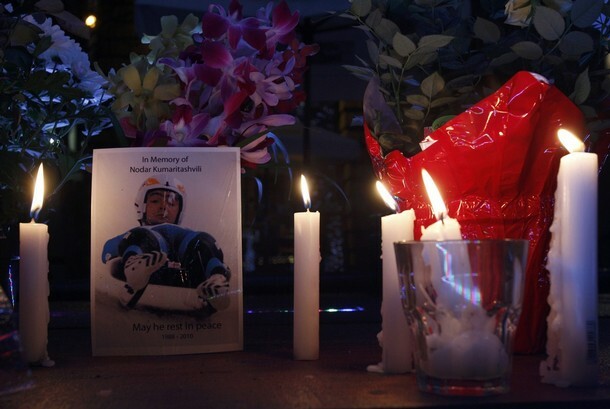 The group was only seven strong last night, and a world away a family mourns. The sense of loss was clearly shared. 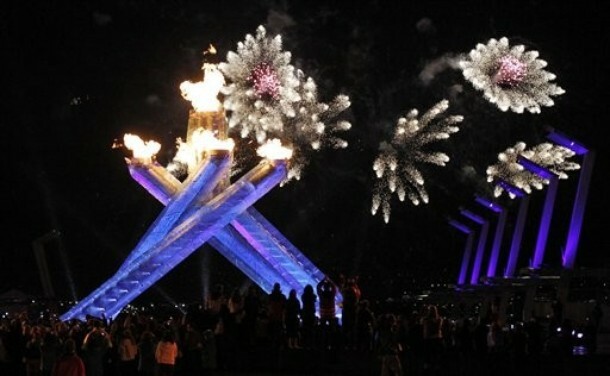 And marked in several ways at the Opening Ceremony. Perhaps the parade of nations was not as exuberant as in previous years, but the evening still held excitement and joy for many. 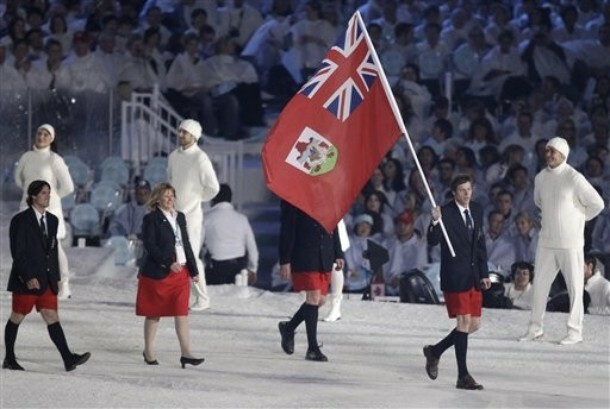 Some nations send large delegations, like Britain. 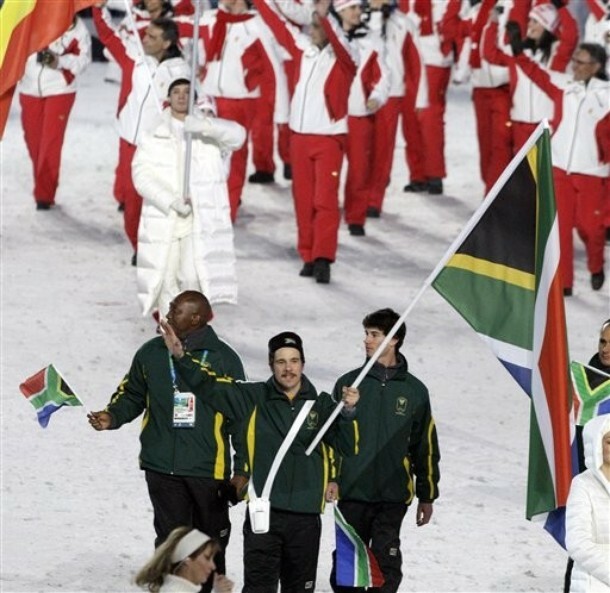 While others are not so big, like South Africa. 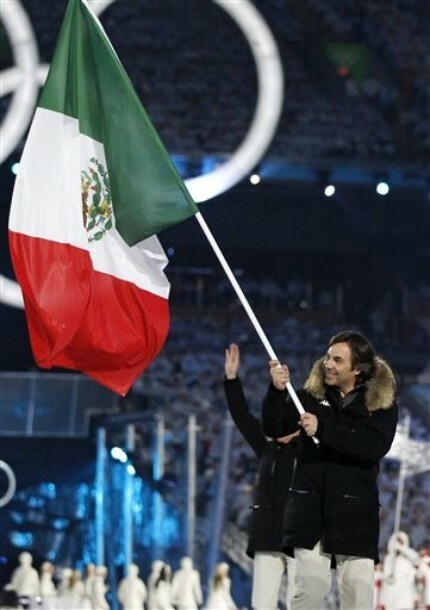 The oldest athlete led Mexico’s delegation, 51-year-old Hubertus Von Hohenlohe. 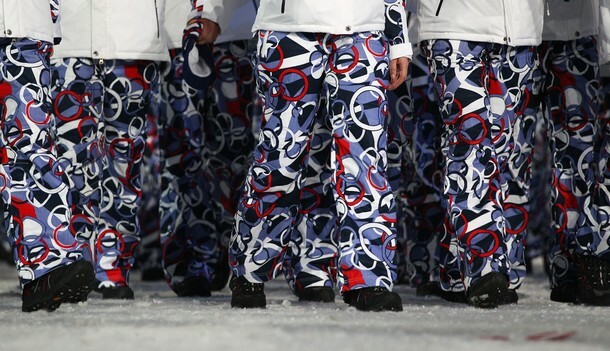 And we loved the pants worn by the Czech Republic. 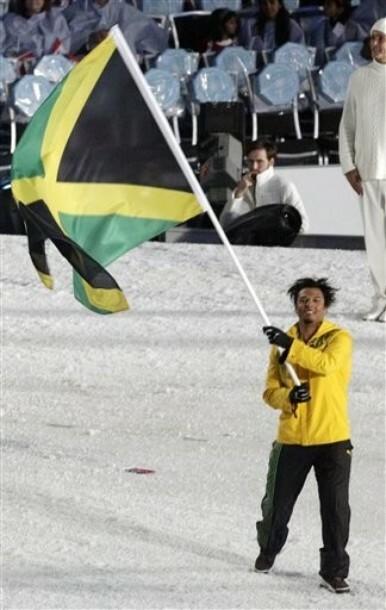 A crowd favorite: Jamaica’s Errol Kerr. The American delegation was welcomed warmly by our Canadian neighbors. Team USA was led by Mark Grimmette. 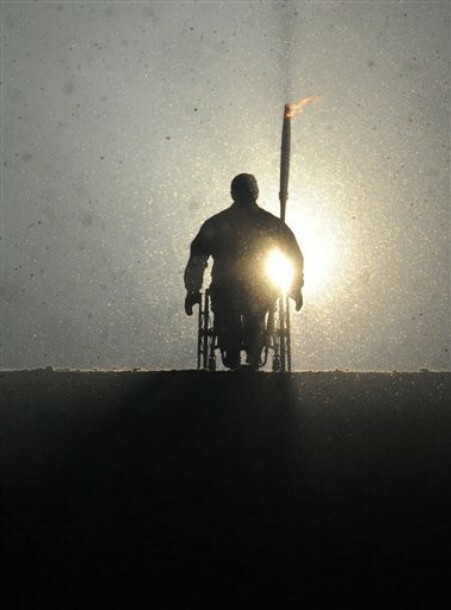 Mr. Grimmette is participating in his fifth Olympics, a jaw-dropping accomplishment. 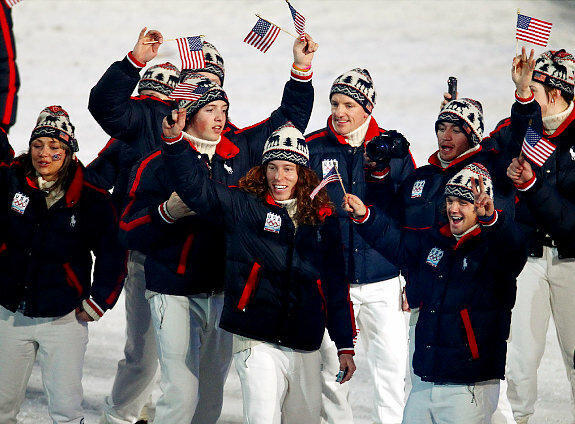 Snowboarder Shaun White reveled in the moment. As did fellow snowboarder Kelly Clarkson. The Polo Ralph Lauren uniforms looked good. For those interested in the Team USA opening ceremony uniforms, a reminder that most of the components are available for purchase at the Polo Ralph Lauren site, in Women’s, Men’s, Girl’s and Boy’s sizing. Fair warning: it appears one of the most popular items may be sold out. The Fair Isle Knit Hat is no longer on the PRL website but everything else seems to be available. 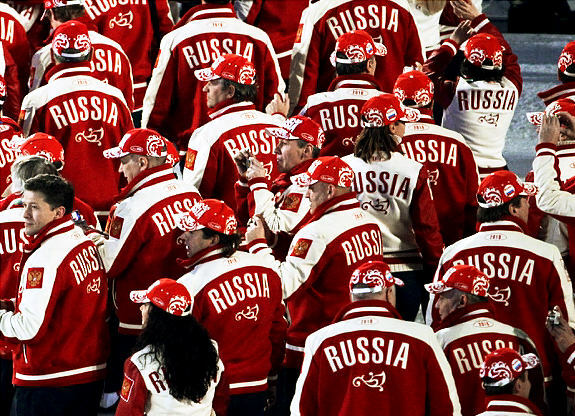 If interested in purchasing what our athletes will wear in the closing ceremonies, sooner might be better than later. Below, the Shawl Collar Cardigan. For more on the uniforms, click here to see our post detailing the designs. The PRL site is loaded with other Olympic content, including athlete profiles. As tradition dictates, the last team into the stadium is the Host nation. 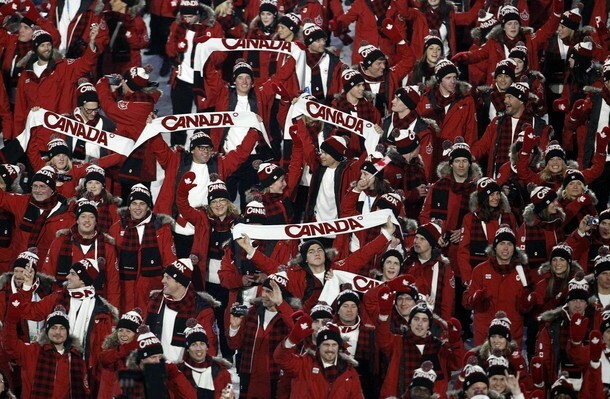 The Canadian team was a sea of red, greeted with an enormous ovation. 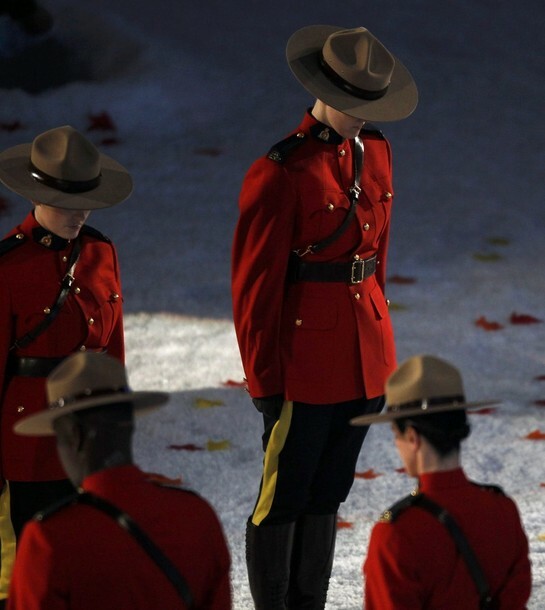 Their uniforms are created by the Hudson’s Bay Company. Waiting to enter the arena. 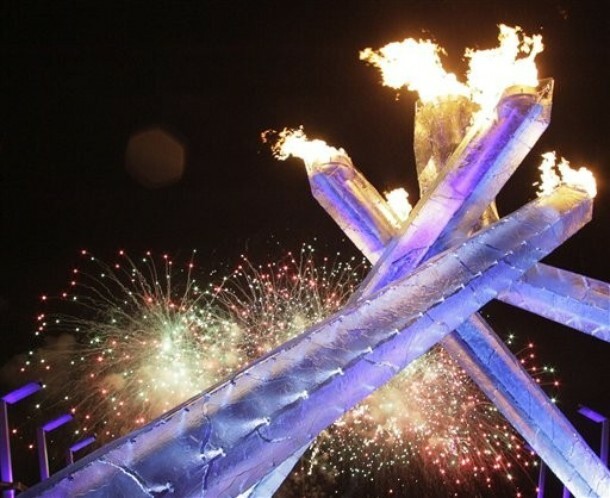 Growing up across the river from Canada afforded us the luxury of visiting regularly; multiple excursions later in life to Toronto, Montreal and other parts of the country have sown a deep respect and affection for our neighbors to the north. Last night only enhanced these perceptions. 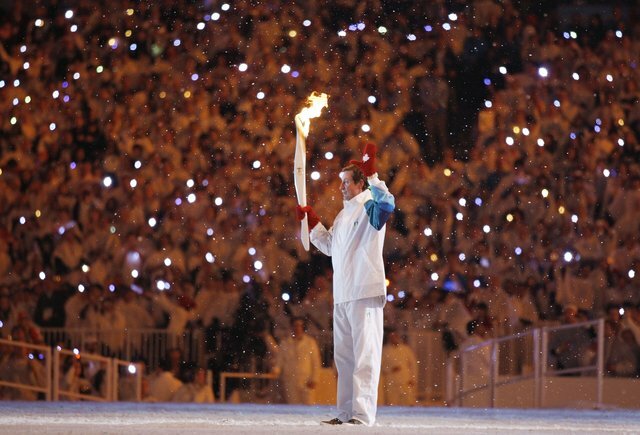 Seeing #99 with the torch was splendid. And that little mechanical crisis hiccup detracted not at all from the evening. Why are we so perky here at the Prepatorium? 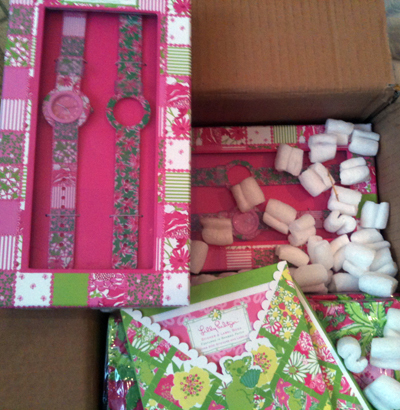 Among other things, our first order of the 2010 Lilly Pulitzer Stationery and Gifts line arrived yesterday! As anticipated, there is lots of goodness contained within, the Watch Sets are outstanding. 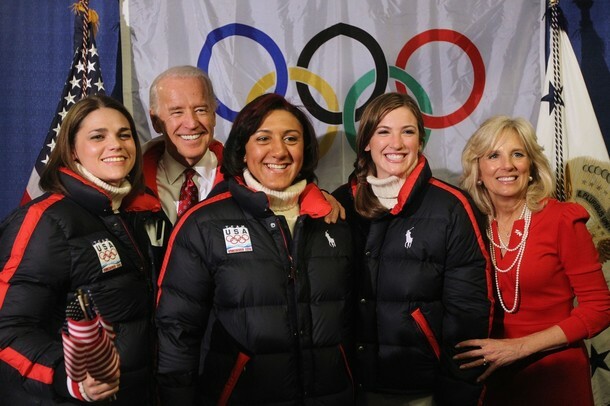 But on to our main topic, the Polo Ralph Lauren Team USA uniforms for the Olympic Winter Games in Vancouver. 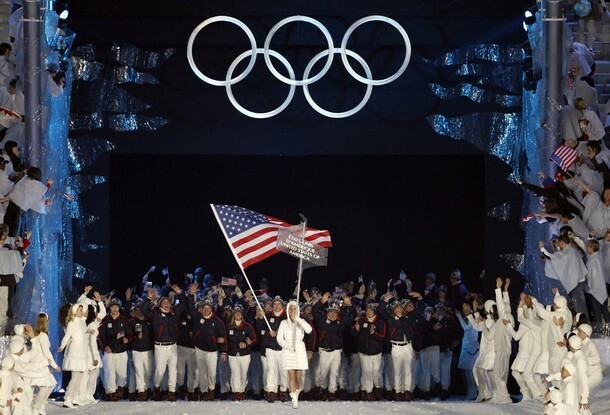 The games get underway in 9 days and yesterday the USOC and David Lauren unveiled the opening ceremony uniforms. Some may recall our original post in July on the uniforms, amplified in our December post where we also show Nike’s podium jacket. 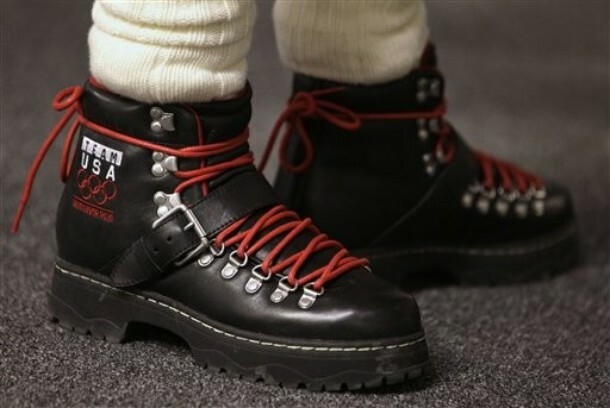 (Along with the proscribed look for the snowboarding team, perfect for that sport.) In this November photo you see the PRL (Polo Ralph Lauren) looks on the left, the Nike styles are on the right. As expected, anyone and everyone can purchase their own version of the uniform. 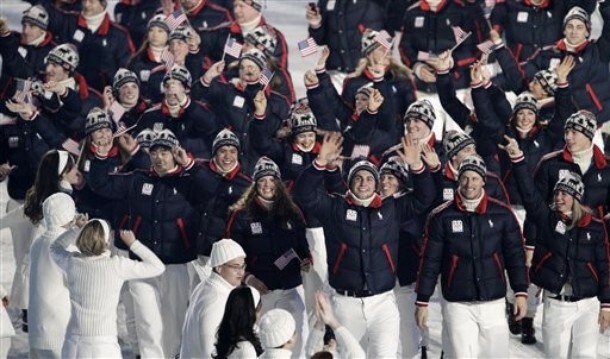 The styles may be acquired at the Team USA shop, along with all manner of Olympic merchandise, including the Nike Podium Jacket and other pieces. They are also offered online at Polo Ralph Lauren, PRL stores, and many department stores. Here are the individual pieces comprising the look; we will be terribly crass, raising that nasty “M Issue” by posting prices as well. (Gasp! The horror!) 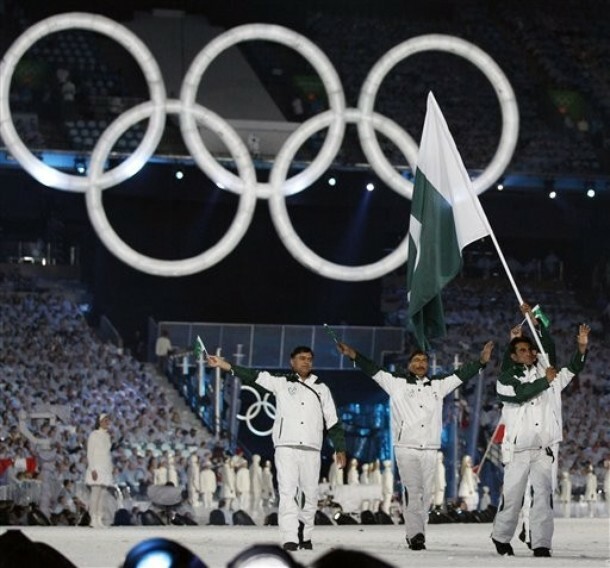 We begin with the Opening Ceremony Jacket ($325)…. 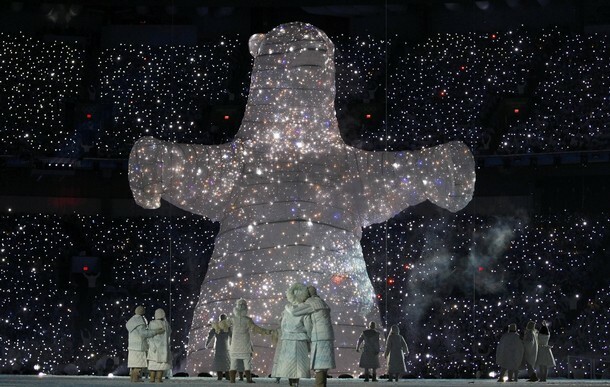 And the Opening Ceremony Sweater ($425). Along with the Fair Isle Knit Hat ($75) and the Denver Leather Boot ($159). The items above are all shown with links to Women’s sizes, although they are available in Men’s, Girl’s and Boy’s sizing. We did not see the Fleece Pant in the Women’s collection, but found it in the Men’s department ($165). There are many additional items we are not showing, tees, more fleece, polo shirts, etc. Au contraire. Non, non, non. We appreciate the classic lines and the way the uniforms were designed with homage to the 1932 Lake Placid Games. This is evident in the sketches released by PRL last year of the athletes Olympic Village styles. This photo is not part of the Sun’s story, we merely insert it as a point of reference. Moving on, one of the cuter items in the Boy’s & Girl’s lines: the Olympic Games Hat/Mitten Set ($95). If this is all proving to be a bit of a budget-buster, there are always the Olympic pins. The Ski Pin (L) and the Olympic Pin are each $10. Thank you for your gracious indulgence of our borderline psychotic diatribes of our silly little Logophobia concerns; you are more than tolerant. 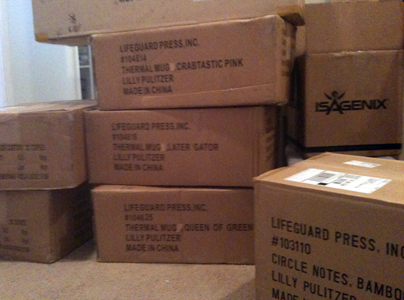 With this we dash, we actually have a number of social engagements today and there is all that fab Lilly to unpack and ship out! Wheeeee!